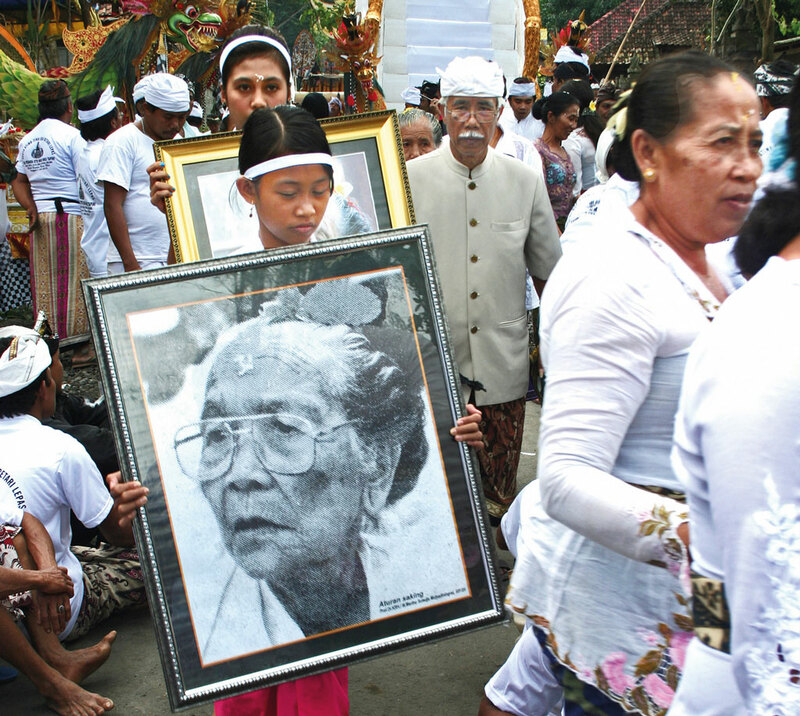 For the Balinese, and from their spiritual perspective, death is no less essential to life, for it’s part of a continuous cycle: Birth-life-death. 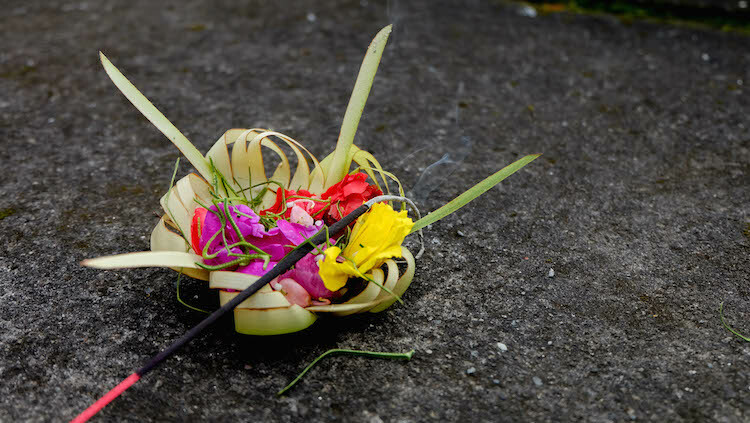 And just like celebrating birth and life, a ceremony will also be performed to send the dead through the transition to the next life (reincarnation). 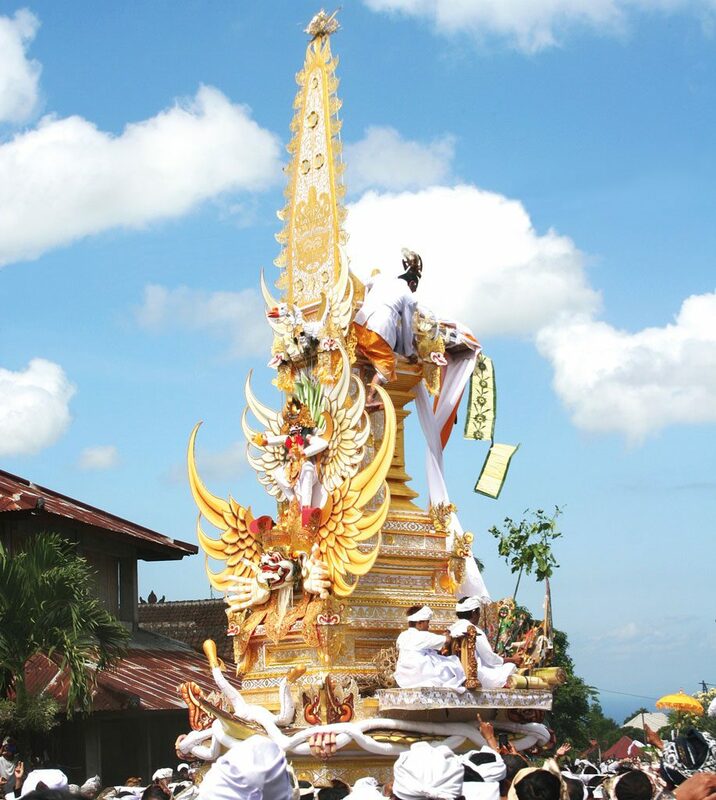 The Balinese cremation ceremony, called Ngaben or Pelebon (for those of high caste), is a ritual the Balinese people follow when ushering the passing person into their next life or sending them on to Moksha. 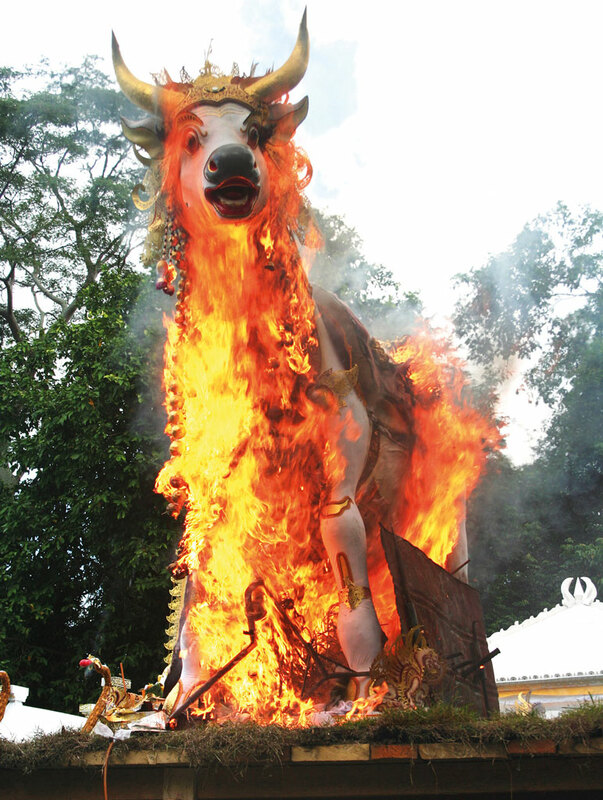 The day for the cremation to take place is always selected by a priest, and it will be based on the Balinese calendar. 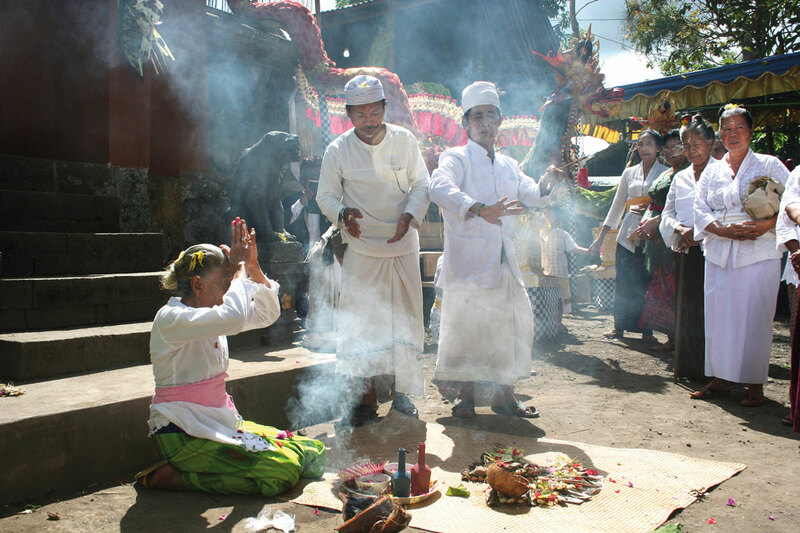 The preparations for a Ngaben ceremony can take months; and in order to get the ceremony right, the family will need to spend a good deal of money. It can be so expensive that a family may have to wait for months, or even years, before they have the money to conduct the ceremony. If this is the case, the body will be buried first before being cremated. 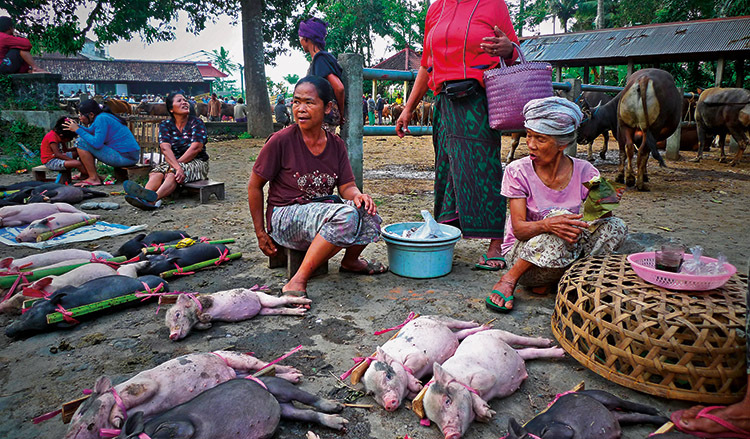 The alternative way is for the people in one village to hold a cremation ceremony together at one time where the financial burden is spread among all of those involved. It doesn’t lessen the vital meaning of the ceremony – it just makes it more affordable. 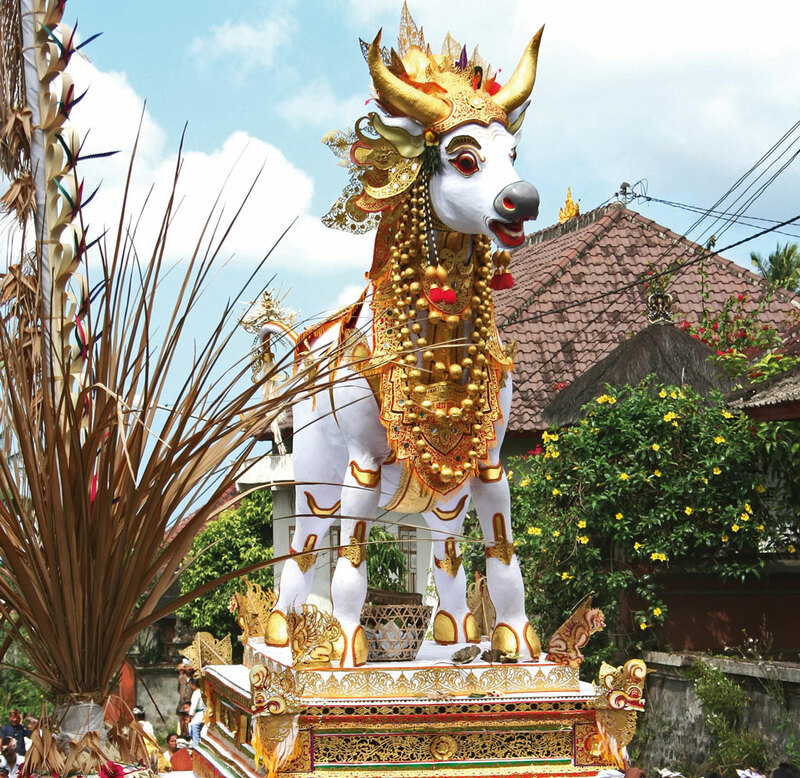 As part of the preparations the family will be expected to arrange for two important items that will be used in the ceremony: Bade (a tower-like construction that has multiple levels – the more levels the construction has, the important the person was in their life) and a Lembu (an ox-shaped coffin where the deceased’s body will be cremated in, only used when the deceased is of high caste). During this time, the preparations are always set to the best. The best priest is called upon and the holiest water is used followed with the most appropriate date for the cremation. 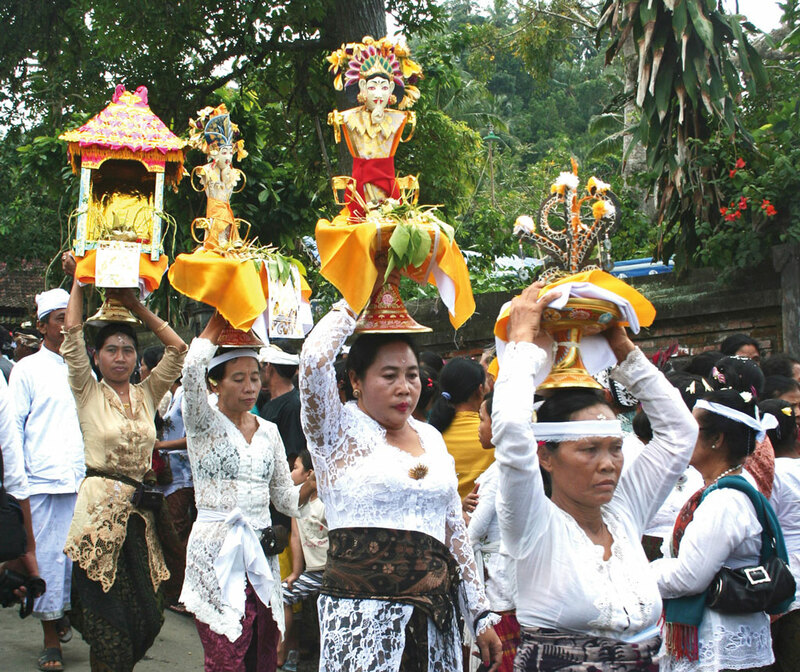 Ngaben is viewed as a joyful occasion because the soul of the deceased is now ready to carry on its journey to heaven, followed by reincarnation.